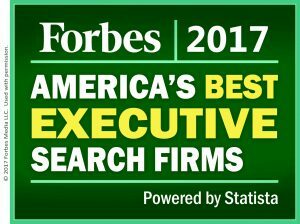 Development Guild DDI has been named to Forbes inaugural “America’s Best Executive Search Firms 2017“. The ranking is based on the results from a rigorous independent peer review survey of more than 4,000 executive recruiters, candidates who have worked with recruiters, and human resource managers. Forbes worked with the analytics firm Statista to compile the rankings from the over 20,000 recommendations collected. Since 1978, Development Guild DDI have been aligning leadership around a strategic vision with planning, executive search, and fundraising services. With offices in Boston and New York and working with clients nationwide, we partner with leaders in academic medicine, higher education, arts and culture, human service, and other nonprofits in delivering on their most important goals.